Subaru took its slow-selling Levorg five-door, five-seat wagon back to the drawing board in 2017, refreshing the line-up to include two models that offer a new-to-the-brand 1.6-litre turbocharged four-cylinder engine and lowering the car's entry price point as a result. Will it give the Levorg a new lease on life? From the front, the Levorg is almost a direct mimic of the brand's Impreza and WRX, especially with the bird-swallowing bonnet scoop that's used on all four cars. The front end has been lightly tweaked for the 2017 upgrade, but it's still obvious which car the Levorg has morphed from. The rear end is different, of course, and it's something that needs to appeal to the eye of the beholder. It's strong, prominent and almost bulbous from some angles, yet very resolved and flowing when looked at from other directions. There's no body kit, as such, as it's all integrated into the car. 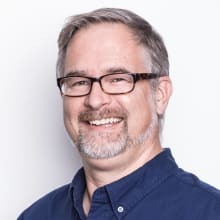 The large overhangs – the distance between the wheels and the outer edges of the bumpers – aren't especially handsome, though, while its high-waisted sides can make the alloys disappear into the fenders. The low ride height helps here, but also means the Levorg is an on-road proposition only. 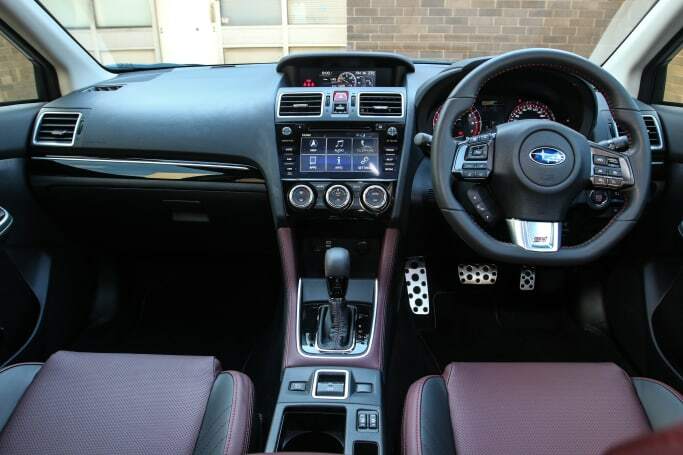 On the interior side, if you've seen the last model Impreza, then you'll know what the Levorg looks like; a clean, almost underwhelming layout with clear, well laid-out controls, while the extra dimensions of the wagon style gives the cabin a lighter, airier feel. The Levorg really hasn't changed much from the Impreza-derived wagon that debuted in 2016, aside from styling tweaks, new adaptive headlights, a triple-fold rear seat and revised multimedia systems across the range. The boot space holds 486 litres with the seats up, which one-ups its Forester sibling by 64 litres (maybe it 64-ups it, then?). The size increases to 1446 litres when the 60/40 split-fold seats are dropped down. Tie-down points and a 12-volt (12V) socket are present in the rear, along with flip-down switches for the rear seat backs. There's plenty of room in the rear seats for head room and leg room, though three-across is a tight squeeze for adults. There are a few not-so clever touches, though, including a myriad of controls on the steering wheel that could easily be reduced. The multimedia system, too, is starting to show its age, even though it offers access to apps like Pandora (which has now been killed off). Another irritation is the roof-mounted sash belt for the rear centre seat. 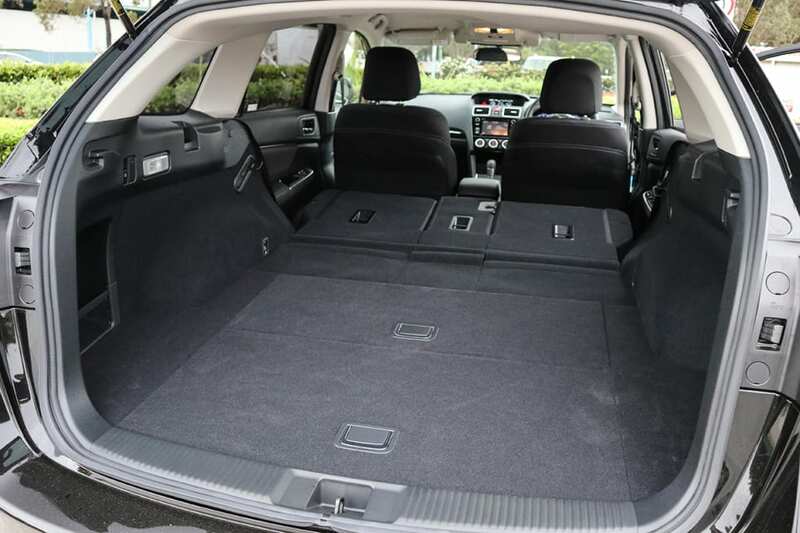 There are ISOFIX child seat mounts for the outside rear seats, and a cargo blind for the rear area is included. A run-flat spare lives under the boot floor, too. It's nice to see a pair of USB ports for rear seat passengers. There's also a USB port in the centre console bin as well as in the storage area under the centre of the dash. Bottle holders live in all four doors, while cup holders are present front and rear. The Levorg range now stands at four models, with the new 1.6 GT having the added benefit of kicking the range off at a lower price point of $35,990 before on-roads. Standard kit includes all-wheel-drive, 17-inch alloys, dual zone air conditioning, automatic LED headlights, automatic wipers and a multi-stage throttle map button known as Intelligent Drive, which gives you two different throttle maps via switches on the steering wheel. 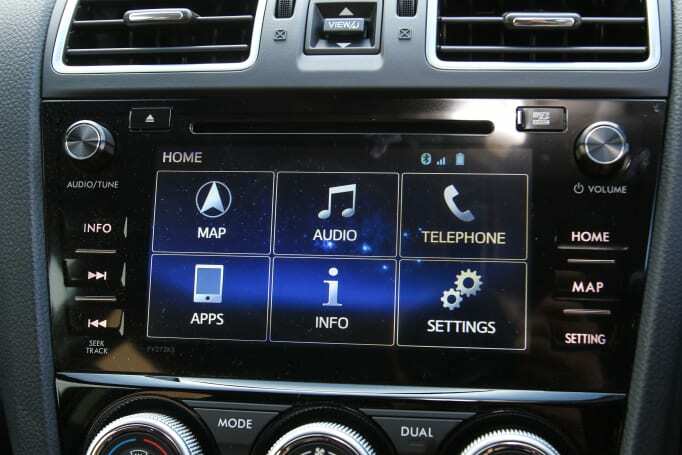 There's also a colour multimedia screen that's complemented by a small TFT screen above it that displays vehicle info like boost level and fuel economy. It also has automatic wipers, a leather-clad steering wheel, alloy pedals, a dual-tone cloth interior and LED daytime running lamps. Subaru's comprehensive EyeSight safety system includes auto emergency braking (AEB) and adaptive cruise control, and we're happy to see the system included in the base model. The $42,890 1.6 GT Premium, by comparison, adds 18-inch wheels instead of 17s, leather upholstery with heated front seats and electrically-operated driver's seat, more safety with blind-spot monitoring, rear cross traffic alert and lane change assist, and a larger 7.0-inch multimedia system with sat nav. The 2.0-litre turbocharged four-cylinder engine is retained for the 2.0 GT-S, which now starts at $49,190. It's effectively an almost-$5000 cost increase from 2016, thanks to the new, cheaper 1.6-litre powered cars. It shares the same specifications as the GT Premium, aside from the addition of black rims and a sharper 'Sport#' mode for the drive mode system. 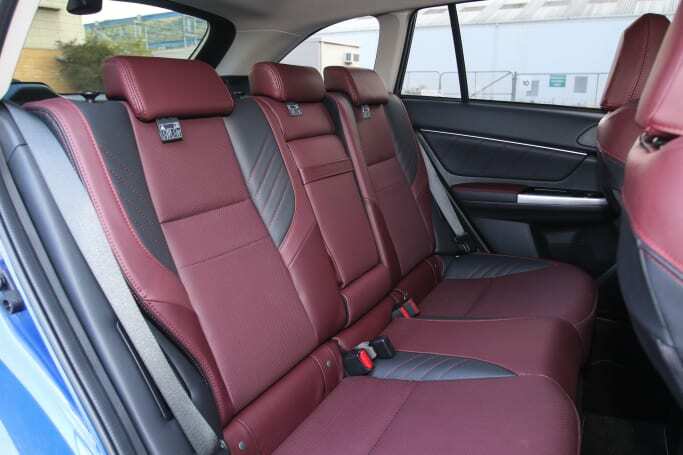 Burgundy coloured leather seats form part of the 2.0 STI Sport package, which also includes a unique front bumper and grille, different 18-inch rims and Bilstein shocks. It's available in Subaru's famed World Rally Blue, as well as other colours like white, grey and black. 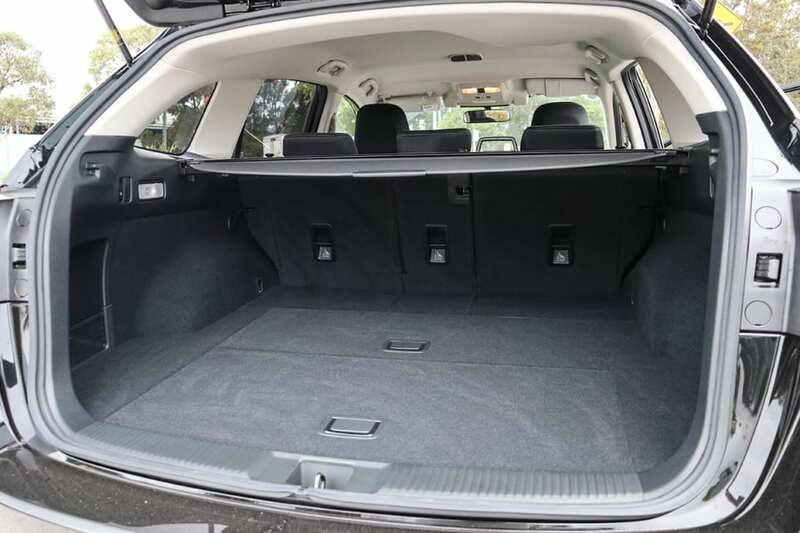 The Levorg plays in the same load-lugging space as cars like the Skoda Octavia, Mazda6, Volkswagen Passat and Hyundai i40 Tourer, as well as the Ford Mondeo. The newest motor in the family is a 1.6-litre single-turbo four-cylinder boxer unit, and it's the first of this size to be turbocharged for the brand. 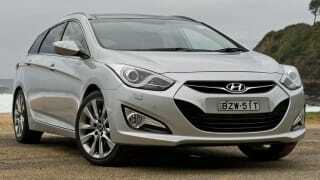 It's backed by a continuously variable transmission (CVT) auto. It makes 125kW and 250Nm of torque, though it honestly feels like it makes more horsepower than the engine specs suggest. The key element is how that torque is delivered low down in the rev range. The STI Sport uses Subaru's well-known 2.0-litre boxer turbocharged engine in the same spec as fitted to the WRX, and it's unchanged from 2016. This means 197kW of power and 350Nm of torque, complemented by a multi-mode throttle control known as Si Drive. The CVT gearbox sports an eight-step 'manual' mode that can be activated with paddles behind the wheel. CVTs have a bad reputation for dulling the driving experience, but drive this one before you dismiss it out of hand; it's well behaved, reasonably quiet and it complements the car's intended purpose well. No manual transmission is available for the Levorg, even in the STI Sport model. The AWD system behaves more like a front-wheel-drive in most situations – no get-out-of-jail 4x4 mode here. Of the four models, the 2.0 GT-S offers the best towing capacity of 1500kg of braked trailer, with a towball weight max of 150kg. The Bilstein damper-equipped SGTI Sport can only cope with 1200kg and 120kg on the ball. The 1.6-litre cars, meanwhile, are essentially unsuitable for towing anything larger than a box trailer, offering just 800kg of braked trailer ability and just 80kg on the towball. The max towing capacity for all Levorgs for trailers without brakes is 750kg. No diesel or LPG options exist for the Levorg, while off road performance is very limited due to its low ground clearance. The Levorg 2.0-litre is capable of a fuel consumption figure of 8.7 litres per 100km on the combined cycle, according to Subaru, while the 1.6-litre is more economical at 7.4L/100km. We recorded a dash-indicated 11.2L/100km over 300km in the STI Sport, and 8.0L/100km over 320km in the 1.6 GT. All four cars have a 60-litre fuel tank, and all four require 95 RON fuel as a minimum. 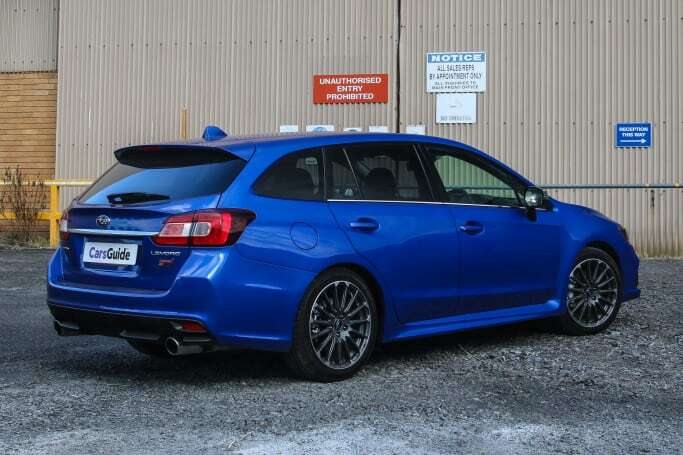 Weight varies between 1539kg for the 1.6 GT to 1591kg for the STI Sport. The Levorg was a late starter on the last Impreza platform, and it's suffered as a result, particularly in the area of its suspension tune. In short, its ride quality is below average for a car in this price bracket, though the entry-level GT fares better thanks to its smaller rims and taller profile tyres. The main issue is the Levorg's rear suspension architecture. While the front end uses Impreza-spec MacPherson struts, the rear layout has been compromised to accommodate a large cargo area. This means the rear springs and shocks aren't physically long enough to give the Levorg enough wheel travel to effectively absorb bumps and lumps and also maintain a decent level of ride quality. The Levorg accelerates away from rest more than adequately, and can maintain its pace at national limit speeds without qualm. There's lots of physical grip available, though, from the all-wheel drive system which Subaru has backed for a long time. It does add weight and complexity, but it does also give a sure-footed level of behaviour in all weathers. The smaller 1.6-litre engine isn't exactly a powerhouse, and it's 2.3sec slower between 0- 100km/h than the 6.6sec 2.0-litre car. It does, however, make the most of what it has by serving up the majority of its torque in a very useable range. The Levorg accelerates away from rest more than adequately, and can maintain its pace at national limit speeds without qualm. It needs a bit of coaxing in steep terrain with four people aboard, but all told the 1.6 is a smooth, strong little unit. The 2.0-litre WRX-spec engine, meanwhile, really hustles the Levorg along, especially when provoked, with torquey performance across the rev range. The EyeSight camera system is the Levorg's big ticket safety item, and it includes automatic emergency braking, brake light recognition, pre-collision steering assist, adaptive cruise control and lane departure warning. Lane sway warning, lead vehicle start alert, pre-collision braking system, pre-collision brake assist and even pre-collision throttle management are also built into the system that operates via a pair of cameras at the top of the windscreen. The entry level 1.6 GT misses out on a secondary level of EyeSight functionality - known as Vision Assist - but still gets AEB, lane sway warning a pre-collision steering assist. All other cars get the full gamut of functions, including rear cross traffic alert, rear AEB and blind spot monitor. It can be more finicky than other systems, and can be fooled by a dirty windscreen in direct sun. This third generation version is much more robust and sophisticated than the earlier versions, though. Six airbags, including full-length curtain airbags, are standard fare, helping the Levorg score a maximum ANCAP mark of five from five (tested 2016). Subaru has a three-year, unlimited kilometre warranty on the Levorg, and occasionally adds another two years as a dealer offer; it's definitely worth asking about it. 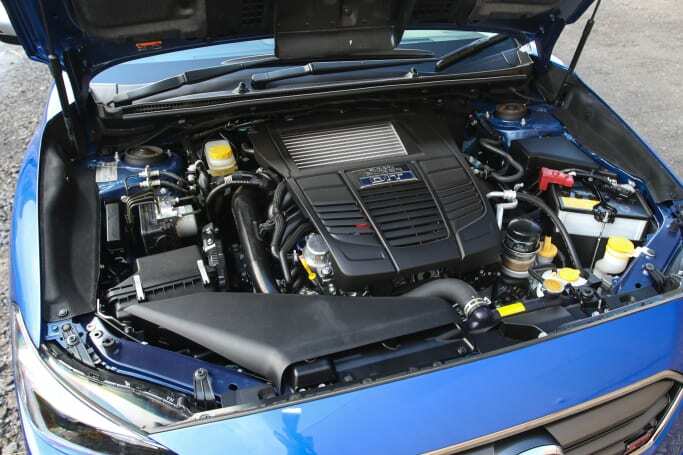 The service interval on a Subaru is shorter than most other cars at six months or 12,500km, thanks to the boxer engine needing more frequent oil changes – and it's false economy to miss a service, too. Trying to sell your Levorg without a fully stamped owner's manual will be hard. 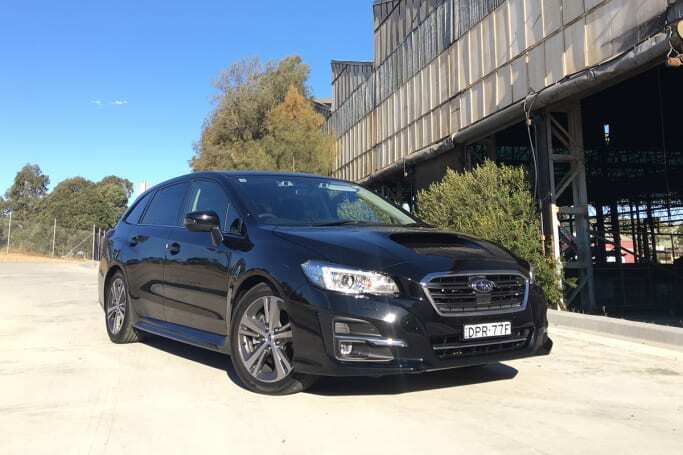 A six-visit capped price servicing regime for the Levorg averages out at around $375 per service, which includes labour, parts and fluids, and even fees like oil disposal levies. Reliability is generally good with Subarus if you keep them serviced, with few problems or issues reported. It's easy to suggest that the Levorg is simply an Impreza wagon (and the 2.0 is a WRX wagon to boot) – but it's not quite the case. The Impreza has now moved onto a new, improved platform, which has left the older generation Levorg in its wake. With its line-up saturated by wagons, Subaru is finding the Levorg a tough sell, though the new entry level model is a step in the right direction. Ultimately, though, the relatively inferior ride comfort of the Levorg may well be the element that plays against it the most. The sweet spot in the range in this case is the entry level 1.6 GT. With better ride and handling than even the range-topping 2.0 STI Sport, a punchy yet economical engine and attractive pricing, it's definitely worth a look. If you're looking at Subaru wagons, is the Levorg on your list? Not all wagons are created equal, and if it's cargo space you're craving, some do it better than others. 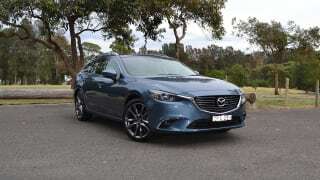 The question is, where does the Mazda6 GT wagon sit in the pecking order? 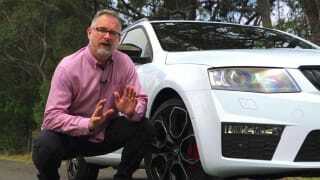 Tim Robson road tests and reviews the 2016 Skoda Octavia RS 230 sedan and wagon at its Australian launch. Peter Anderson road tests and reviews the Hyundai i40 Tourer Premium with specs, fuel consumption and verdict.